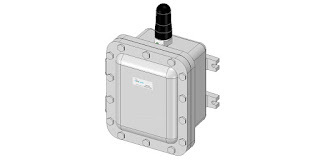 Analynk Wireless has expanded its WEN line of explosion proof enclosures for industrial wireless equipment. The new WEN-RT includes a cast aluminum enclosure and antenna, both suitable for Class 1, Division 1, Groups C&D locations. Purchasers can select from nine different models, each provided with a different antenna to accommodate a target frequency spectrum. A cable is included to connect the antenna to the housed device, and several options are available to adapt the enclosure to specific applications. A data sheet can be found on the company website. Share your industrial wireless challenges with the experts an Analynk Wireless. Leverage your own knowledge and experience with their expertise to develop effective solutions. It's Been A Good Year for Us.